Some of our favorite events & campaigns are annual traditions! 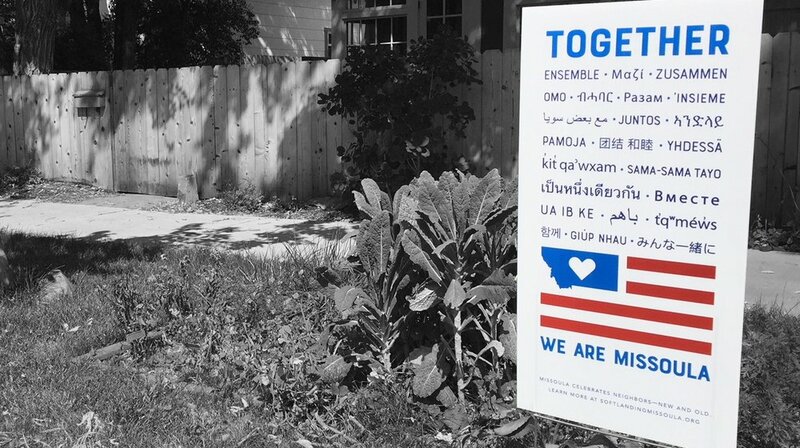 We created a visual way to celebrate Missoula’s commitment to a welcoming community and proclaim loud and clear what you have taught us - Together, We are Missoula. Multiple food initiatives aim to introduce the incredible culinary talent of Missoula’s newest neighbors and international residents, whose rich and flavorful cooking traditions provide a cultural bridge and enrich our shared community. An annual series of events, celebrated nationally, to bring together immigrants, refugees and native-born residents to share the benefits of welcoming new neighbors. We honor World Refugee Day (June 20th) with our annual World Refugee Day Cup - a soccer tournament and community party! We are excited to celebrate the addition of refugees into our community and honor their determination, courage, and strength. We created a visual way to celebrate Missoula’s amazing commitment to a welcoming community and proclaim loud and clear what you have taught us - Together, We are Missoula. So, WHAT IS THis visual celebration OF TOGETHERNESS? 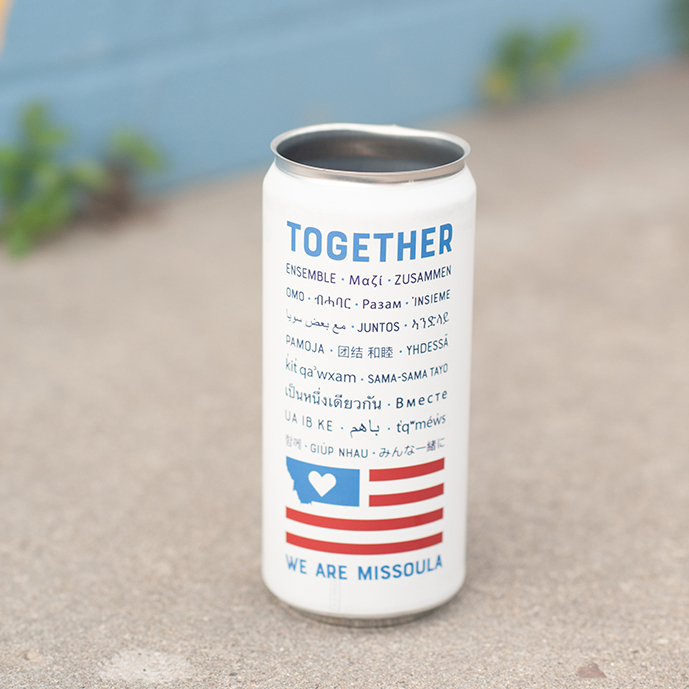 Endorsed by the City of Missoula, we are proclaiming a message of unity across lines of country of origin, culture, and language for neighbors both new and old. We join the growing number of communities who recognize that being a welcoming community for all makes us all stronger together. We will show that Missoula is the kind of place where diverse people feel valued and want to put down roots. We ask that people join with us in embracing the unity in community and exclaiming that Together, We Are Missoula! Receive a gift when you give $25 or more or become a recurring donor! Come into our office to choose our sign package (campaign yard sign, car magnet & sticker) OR a limited edition t-shirt. Must pick up at our office. We have lots of ways to show your love: yard signs, window clings, stickers, limited edition tees & even a specially designed beer can! OUR MONTHLY SUPPER CLUB is a unique opportunity to enjoy a professionally prepared meal by a refugee family in Missoula in partnership with a local restaurant. Working with recipes and traditions passed down generations, no two dinners are the same! UNITED WE EAT @home is here! We just announced the the start of our pilot program to provide a weekly Wednesday pick-up meal to take home and enjoy with your family! Menus are released on Friday mornings- visit the new unitedweeatmt.org website to sign up and be the first to participate in this delicious new adventure! 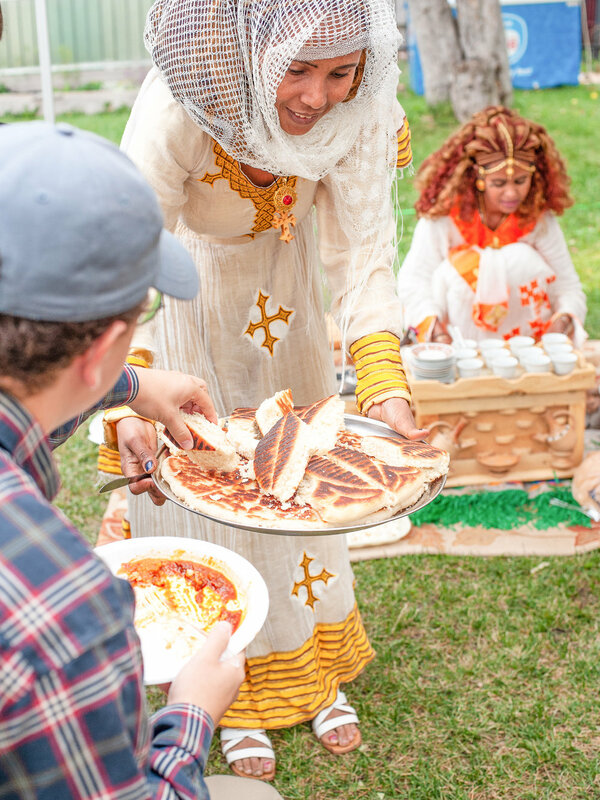 Not only is participating in United We Eat events a fun and delicious way to learn more about Missoula’s refugee community, but it also brings economic opportunity for the participating families and works towards creating an inclusive social and economic landscape for refugees in Missoula. Interested in helping with this exciting food endeavor? See our volunteer opportunities for more information. Many of you have tasted the delicious cultural dishes at the Farmer's Market this summer. Because of this amazing support, We launched “united we eat” supper club to share food & build friendships! Sign up for our newsletter to be the first to know about upcoming dinners & events! EXCITED ABOUT UNITED WE EAT @HOME? Visit the United We Eat website to learn more, view menus, check out the chef’s bios, and sign up for receiving emails to order each week! Interested in hosting an event, big or small, featuring food cooked by refugee families? An annual series of events to welcome you to Missoula! We bring together immigrants, refugees and native-born residents to share the benefits of welcoming new neighbors. We are looking forward to Welcoming Week 2019 that will take place September 13th-22nd. More information available soon! We honor World Refugee Day (June 20th) with our annual World Refugee Day Cup - a soccer tournament and community party! This year’s tournament will be on June 16th. This event honors the courage, strength and determination of women, men and children who are forced to flee their homeland under threat of persecution, conflict and violence. We are excited to celebrate the addition of these families to our community with a soccer tournament and community party. The day long tournament comes down to The World Cup Match of the final two teams. This is followed immediately by a community celebration (5-8pm) with food, drinks, kids activities and music lasting into the evening. Registration opens May 6th, so check back for more information. Our calendar is full of activities & opportunities. We would love to see you there! Dear Liz- Where would I be without you? !